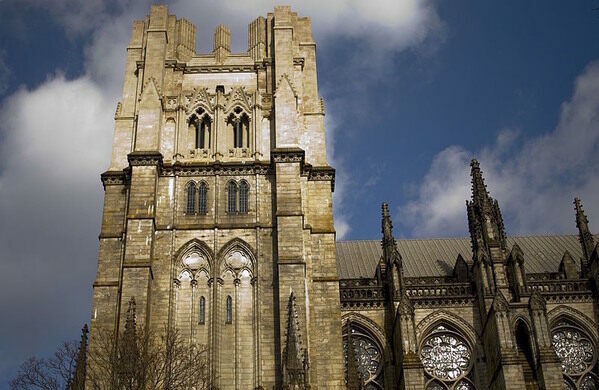 Climb over 124 feet to reach the very top of the largest cathedral in the world. 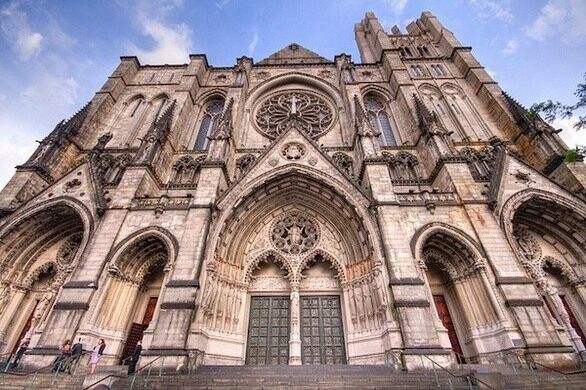 An absolutely stunning structure, the Cathedral of St. John the Divine has seen continuous growth, construction and renovation since the very first cornerstone was laid in 1892. 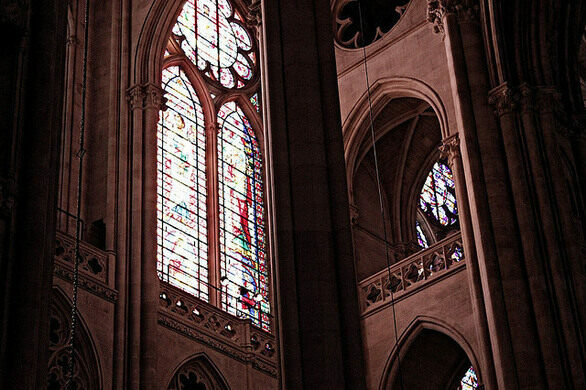 With its spiral staircases, stained glass windows, and elaborate architecture, the Cathedral is truly a sight to behold, especially from its greatest heights. 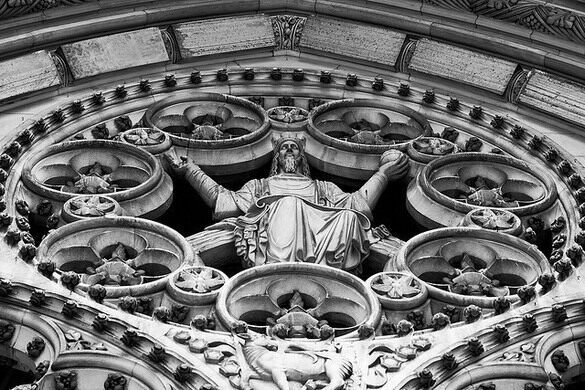 Join Field Agent Sandi Hemmerlein (on special assignment from ObscuraLA) as we delve into the history and architecture of this Gothic revival beauty in a tour specially arranged just for the New York Obscura Society. Our cathedral climb will culminate on the roof with an opportunity to revel in the church's awe-inspiring city views. Photographers, this tour is not to be missed. - All faiths are welcome, but please be respectful of the fact that we are in a church; silence cell phones and dispose of any food, gum or drink containers before entering. 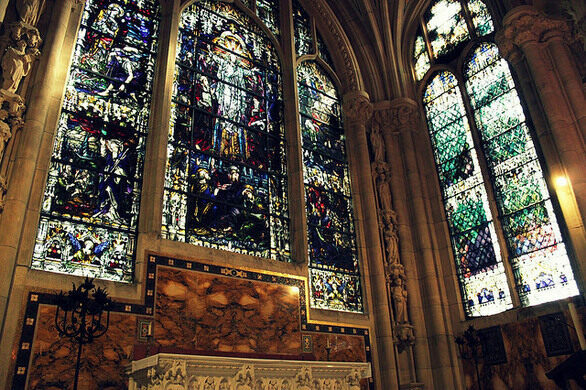 - The Cathedral is wheelchair accessible from the Cathedral's Upper Driveway, on Amsterdam Avenue between 111th and 112th streets. However, most of the areas that we will be climbing to do not have disabled access. Please check with us before buying your ticket if you have any mobility issues or concerns. - No coat-check. Luggage and large bags are strongly discouraged and are subject to search by Cathedral Security. - No food and drink in the Cathedral, please. - Not suitable for small children. Wednesday, January 20, 12:00-1:30 p.m. Arrive 15 minutes early to allow time for check-in. Tour begins promptly at 12 noon. 1, B, or C Train to the 110th Street / Cathedral Parkway station.